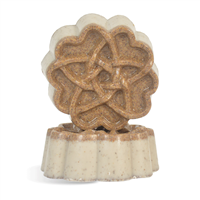 The shape of this bar fits nicely in your hand while you gently scrub away dirt after gardening or use anywhere you need a gentle exfoliant. To microwave-safe measuring cup, add 15 oz. cut up white soap base. Heat in microwave in 30 second increments until melted. To small bowl, add 0.05 oz. bentonite clay. 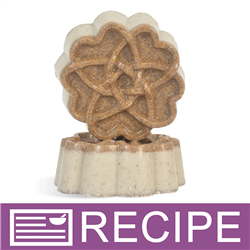 Add melted soap to cover and use mini-mixer to blend power into soap. Pour soap/clay mixture back into larger bowl and mix well. Add 1 oz. of apricot seed powder and 0.5 oz. of fragrance oil. Stir until well blended. If soap has cooled to below 130°F, heat for 20 seconds in microwave. Hotter soap will alow the apricot seeds to settle to the bottom and give a more scrubby look to the soap. Immediately pour soap into 5 cavities. Let soap harden completely. Remove from mold and wrap each bar in plastic wrap. 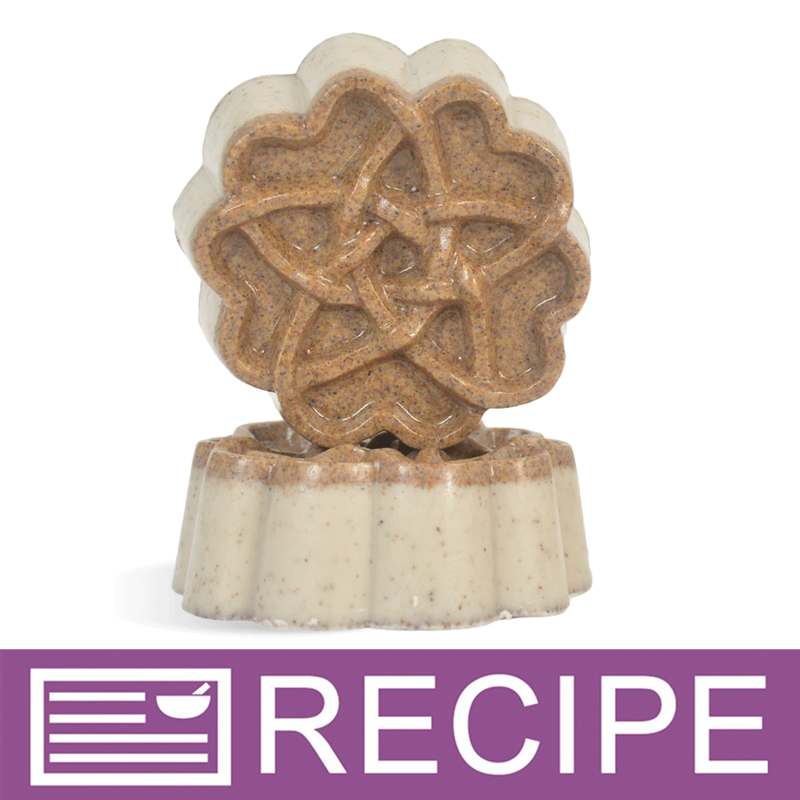 Repeat above directions to make 5 additional soaps.